WhileI've read this book more than a few times this audible purchase changed my perspective on a few points most notably the slight accent given to Talia. Truly the right reader can make a book even better. If you could sum up Arrows of the Queen in three words, what would they be? Talia's story was always fantastic, but Christa's reading brings the story alive in such a way, I am enjoying her story all over again. I also have the Carole Edie Smith reading and this is much better. 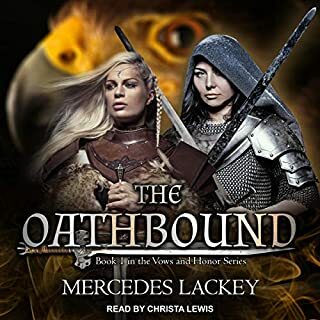 There are so many, but one that stands out is when Talia meets a crying Elspeth in the garden, Christa treatment of the Crying child is more acted then just read, with stuttering and sniffles. it just brought that seen to life in my mind. I hope that Christa also reads the two other volumes in this Trilogy, Arrow's Flight and Arrow's Fall. 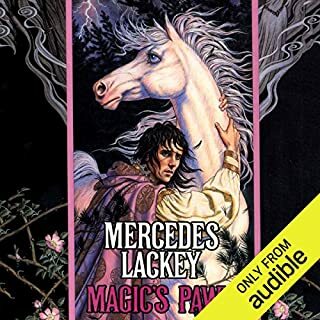 Mercedes Lackey will never write high literature, and indeed her success has worked against her - her work has recently had a tendency to be released with only a passing acquaintance with an editor. And yet. Even as I know these books are not well written, there’s something of the classic storyteller in her. 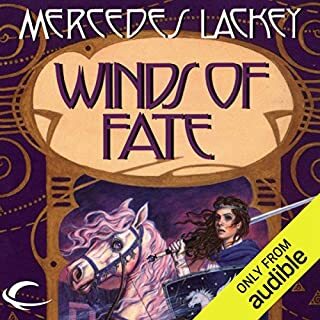 When I read a Mercedes Lackey, it doesn’t matter if there’s typos, clichés, or the occasional overly predictable plot point. I’m always hooked anyway. The Arrows trilogy is I think some of her earliest work, and one of her best (and less prone to later editing issues). So I already knew I liked these stories, and that I return to them again and again. I have been waiting and hoping for this series. So far it's excellent. I am old and have enjoyed many of these as have my children and my children's children. 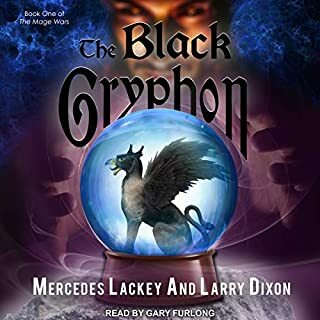 This series is for all ages and a deliciously exciting adventure. This narrator's inflections and use of accent really brought all the characters to life. 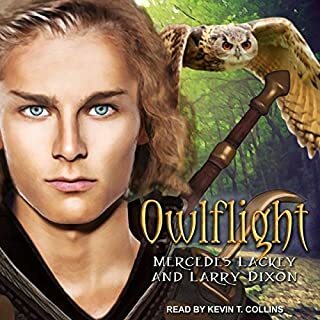 I'm so glad I bought this audiobook! I really enjoyed this book it has a quiet yet powerful quality to its storyline. The main character is slightly reminiscent to the main character in Trudi Canavan's book "The Novice". I find that the character grows in strength and confidence and so does the storyline. So I believe that the reader won't go wrong with the purchase of this book. A really good story that grabs you from the get go and pulls you into the storyline. The author has the uncanny ability to make you at one with the main character, you feel all her turmoil and experience all her sadness & frustrations as well as her happiness as learns her potential in life. Hope you enjoy this as much as I have! Such a fun ride and lovely characters. I really liked the narration, she was making me crack up laughing in the middle of the street with her enthusiasm and understanding of the content which is not always true of all narrators. Can’t wait till the next one. 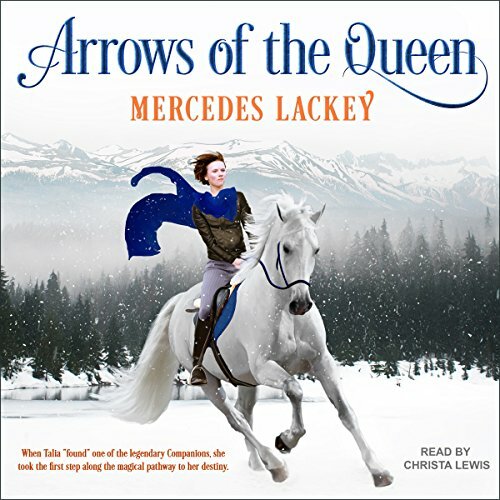 Would you listen to Arrows of the Queen again? Why? Yes. It stands the test of time. 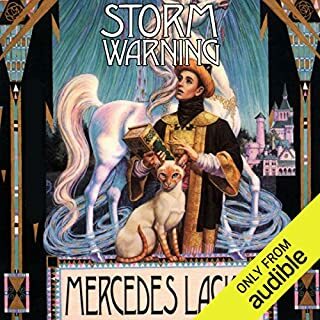 I read a paperbook, own the kindle version and now the audible version. It is really delightful. What was one of the most memorable moments of Arrows of the Queen? I liked how such a shy, abused child becomes a confident young women in the fantastical world of valdemar. What about Christa Lewis’s performance did you like? I loved her voices of the characters. Not every narrator can do both male and female voices well. I loved when she met her companion,Rolan. Loved this book for years. It started me off being a fan of this author.